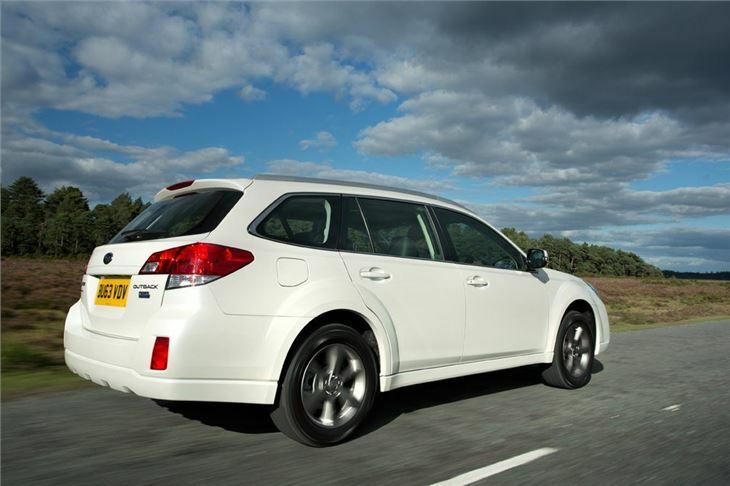 Subaru buyers are a rather demanding bunch – they need solid and dependable cars that will work in all weathers without missing a beat. 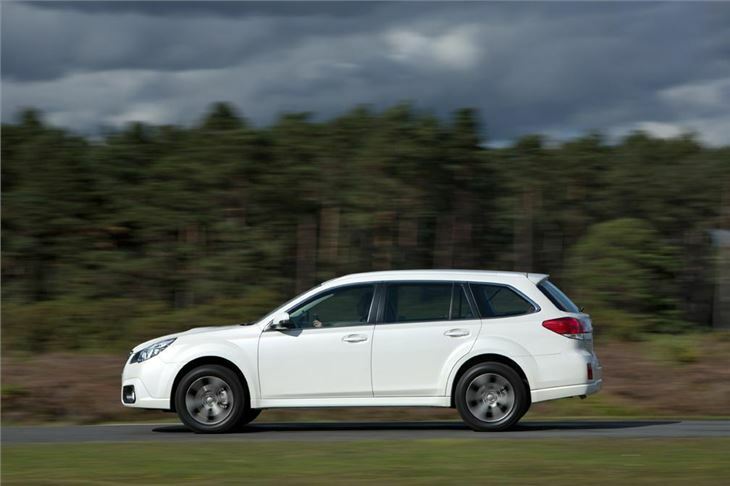 Subaru knows this very well, so with its recently updated Outback – a high riding 4x4 estate - it hasn’t strayed too far from the original formula; rather it’s tweaked and improved where it needed too. 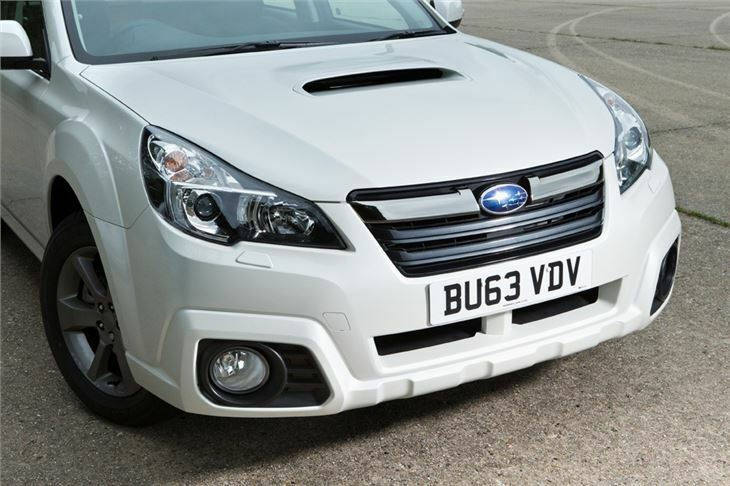 Externally there are subtle changes – the bumpers are colour-coded with the body, rather than black, and the alloy wheels are finished in gunmetal black. Changes in the cabin are similarly subtle but make a difference – the dashboard inserts are finished in a darker dark brushed aluminium finish rather than the previous light-metal plastic. The rest of the interior remains unchanged. 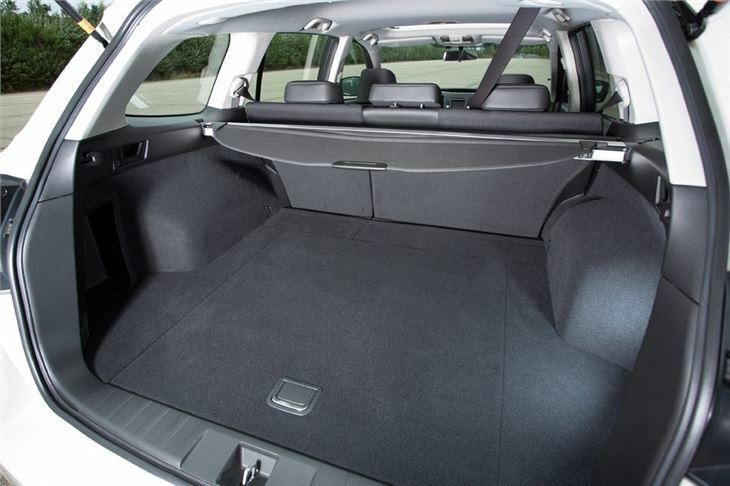 It’s spacious, with loads of rear head and legroom, plus a large boot with space for masses of luggage. 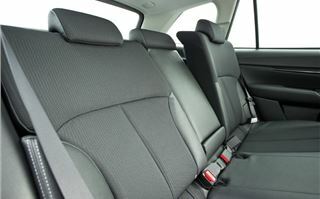 For moving larger items the rear seats can be folded flat by pulling a lever in the boot and there’s a little underfloor storage area, though that is reduced in size if an optional spare wheel is specified. It’s not just a cosmetic overhaul though. The suspension has been upgraded for better handling, plus the engine line up has been revised – the only engine offered now is a 2.0-litre diesel boxer. As with all Subaru models it has an all-wheel drive powertrain designed to cope with ice and snow, as well as off road use. Perhaps most important of all is the new Lineartronic gearbox option. It’s a Constantly Variable Transmission (CVT) which means it has no set gear ratios in the traditional sense. 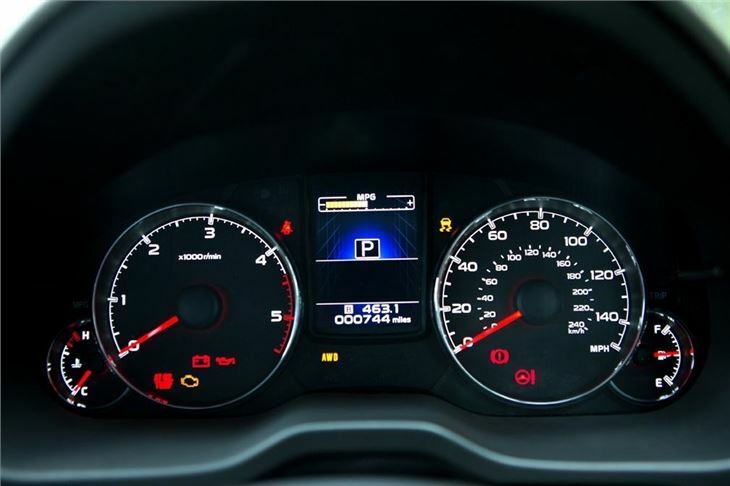 CVT transmissions automatically find the cars powerband to offer the best performance and they are typically reliable thanks to fact they’re fairly simple. 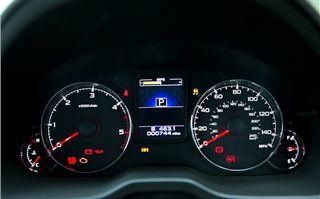 Unfortunately, while they offer smooth but fairly slow acceleration they tend to feel disconnected and are unpleasantly noisy. However that’s not the case with the Lineartronic - it simply settles into a quiet thrum almost all of the time and it typically feels like a normal torque converter automatic. Paired with the boxer diesel it’s smooth, responsive, quiet and relaxed. The diesel engine itself produces 150PS and 350Nm of torque, so it performs well on the open road with plenty of in gear power for overtakes or joining motorways. As testament to the Lineartronic transmission, 0-62mph sprint times are identical for the manual and automatic models at 9.7 seconds. 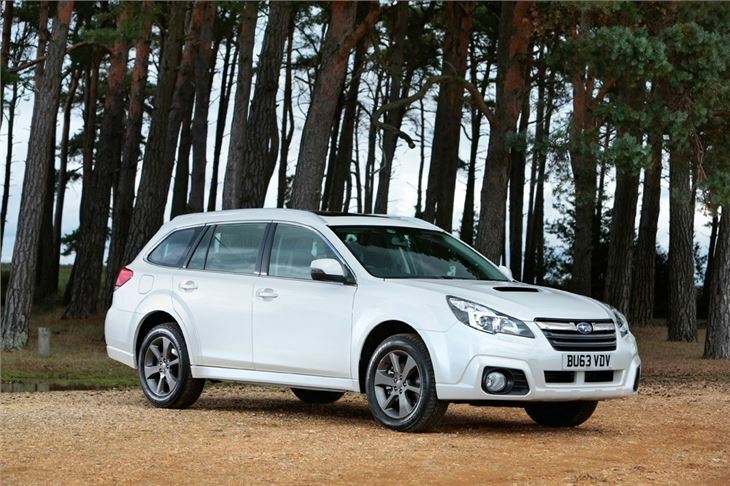 Subaru uses boxer engines across its range of vehicles because they offer good levels of torque and have a low centre of gravity. 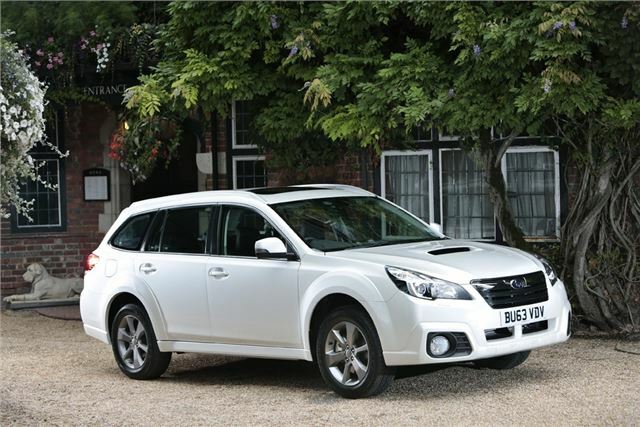 Consequently they give better handling and road holding and it shows with the Outback because, despite being fairly high riding, it is good to drive. 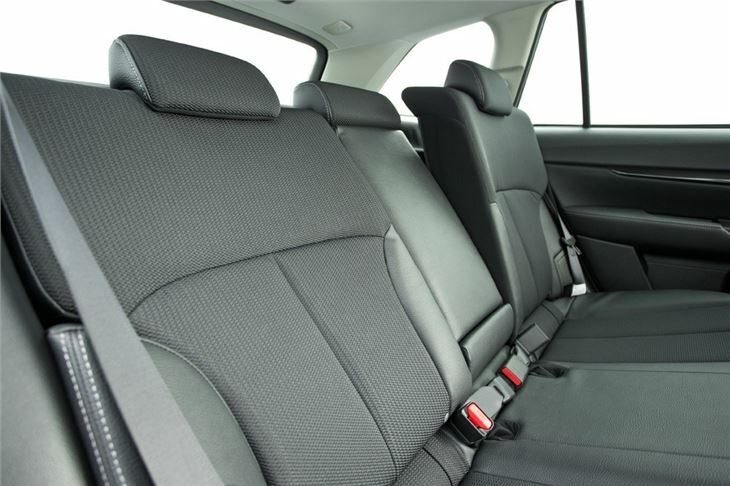 The driving position is excellent and gives a commanding view of the road ahead. 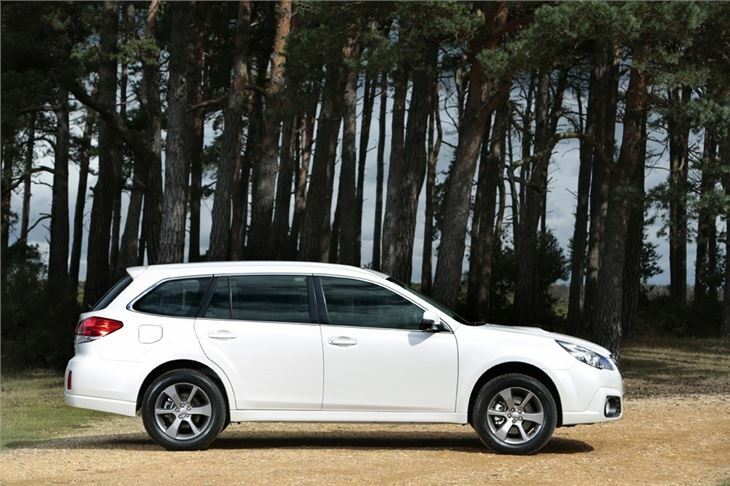 Controls are well-weighted – the brakes offer plenty of stopping power and the steering is accurate. Take it to a wet, slippery B-road covered in leaves and riddled with potholes and the car takes everything in its stride – the suspension irons out most lumps and bumps but still keeps the body reasonably level through corners and there’s plenty of traction thanks to the all-wheel drive system. The only issue is noticeable wind noise at high speeds. Unfortunately, while the boxer engine provides useful performance it’s not great when it comes to efficiency. 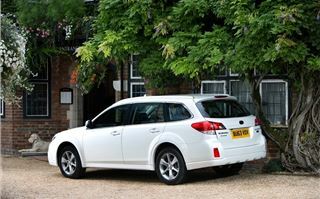 The average economy figure for the Lineartronic gearbox is fairly unimpressive at 44.8 mpg (47.9mpg for the manual). 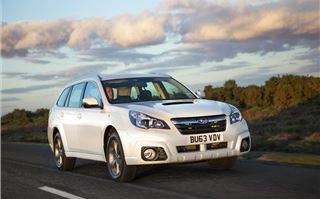 Don’t be put off completely though because Subaru scores a 97% overall rating on Real MPG – so in real world driving it should come close to the claimed figure. That said there’s no escaping the CO2 emissions, which are 166g/km for the automatic and 155g/km for the manual – meaning a fairly hefty tax disc bill each year. There are some other issues, too – the material quality is by no means bad but it’s not exactly plush – there are no soft touch coverings on the dashboard for example. There are a few old-fashioned bits and pieces in the cabin, too, like the seat heater switches and the radio screen. 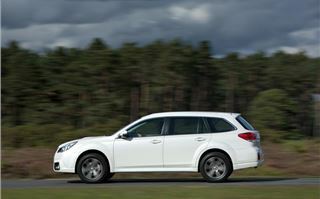 There’s a rear-view camera on the Outback, however it’s both small and unclear. At least it’s standard equipment - the same can’t be said for a sat nav system, which is a cost option. The biggest issue of all, however, is the cost of the car itself. 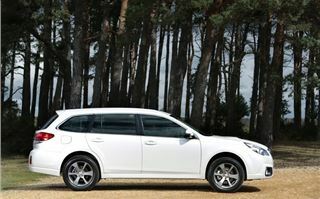 At £29,995 for the manual and £31,495 for that automatic the Outback is more expensive than the excellent Skoda Superb 4x4 in generously appointed Elegance trim level. The Skoda is finished to a higher standard and just as practical. 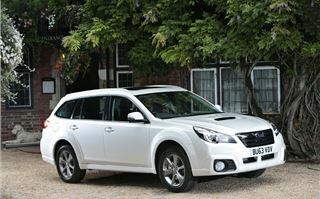 Having said that the Subaru will probably last forever and it ought to manage fairly serious off road use. It’s that fact that keeps Subaru going - it relies on its reputation for making solid, dependable, no nonsense workhorses that will go on and on for ten years or more. 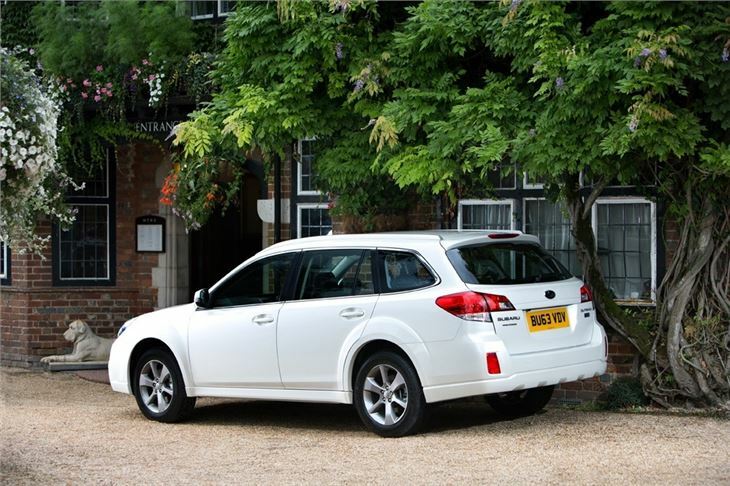 So unless you live in a rural area there’s not much to recommend when it comes to the Outback but for those who live in the countryside it could make sense, particularly for a buyer who plans to run the car for as long as it lasts.